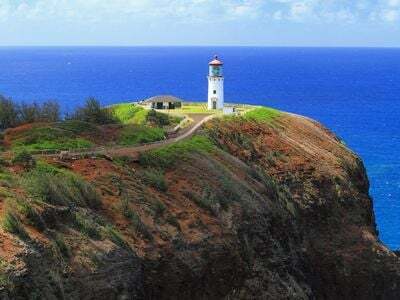 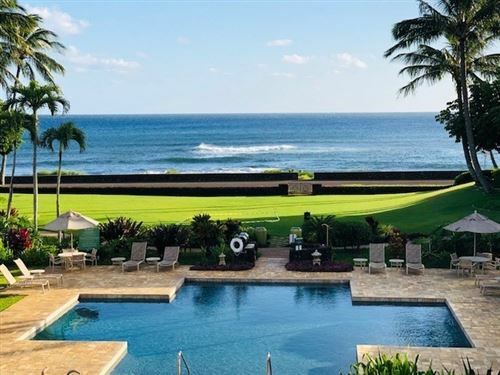 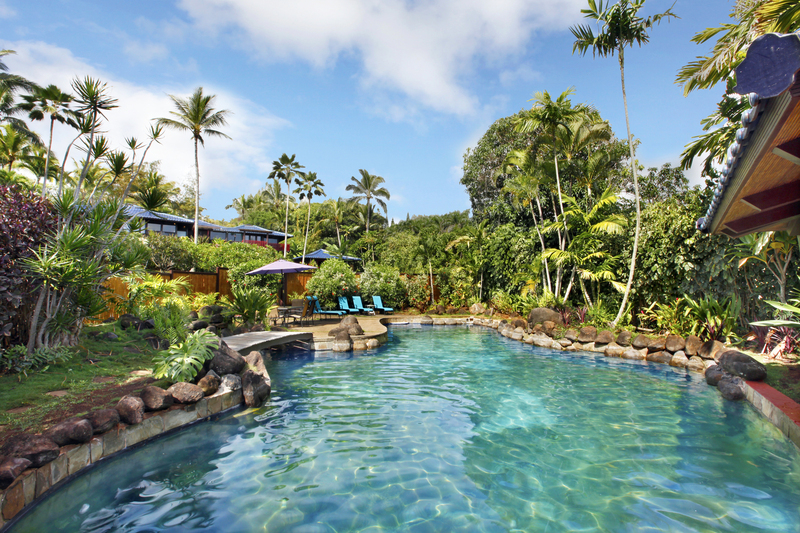 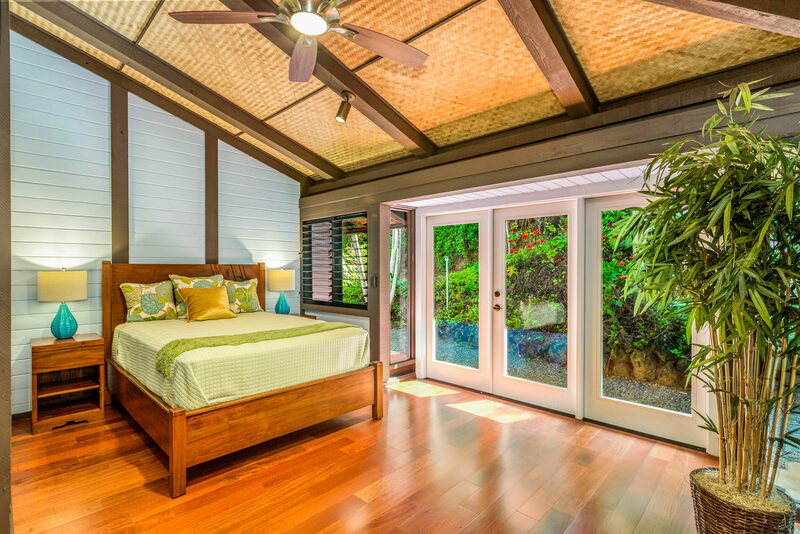 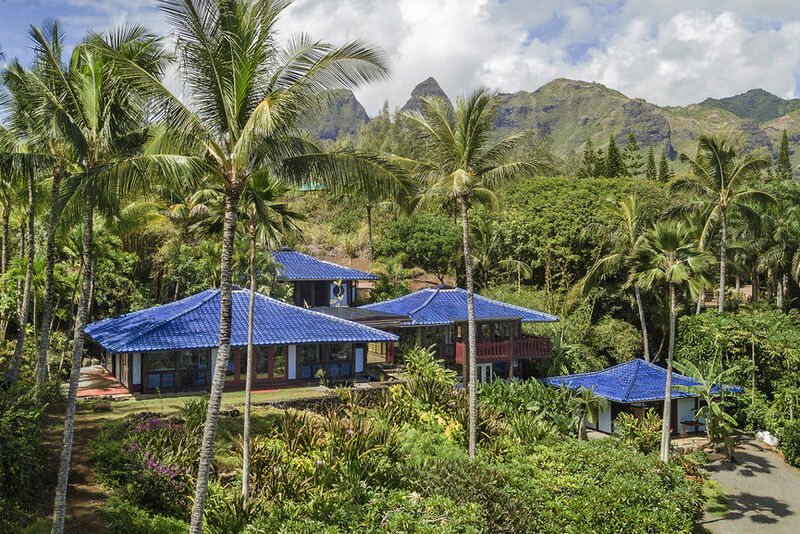 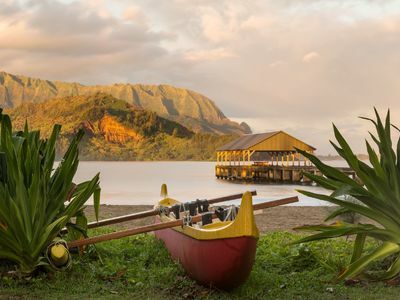 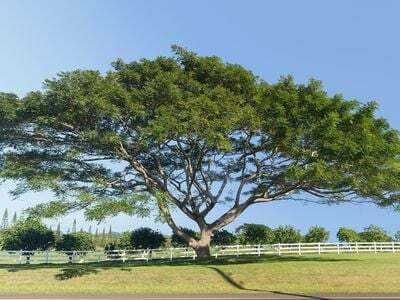 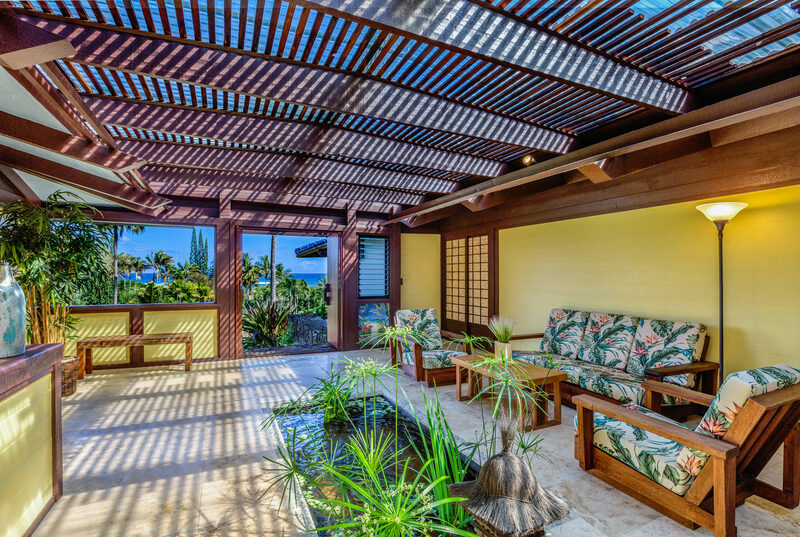 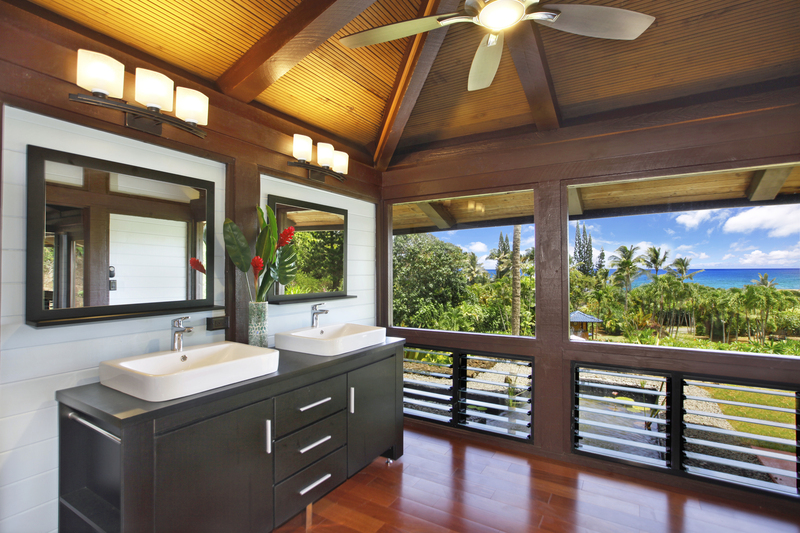 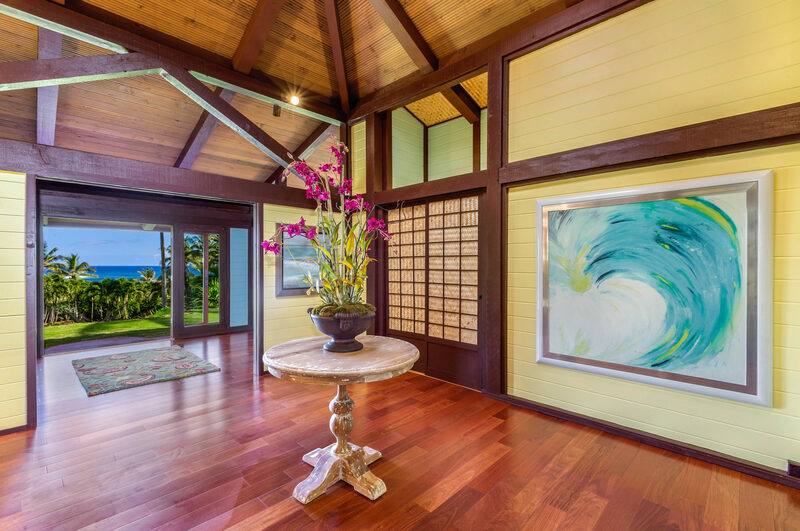 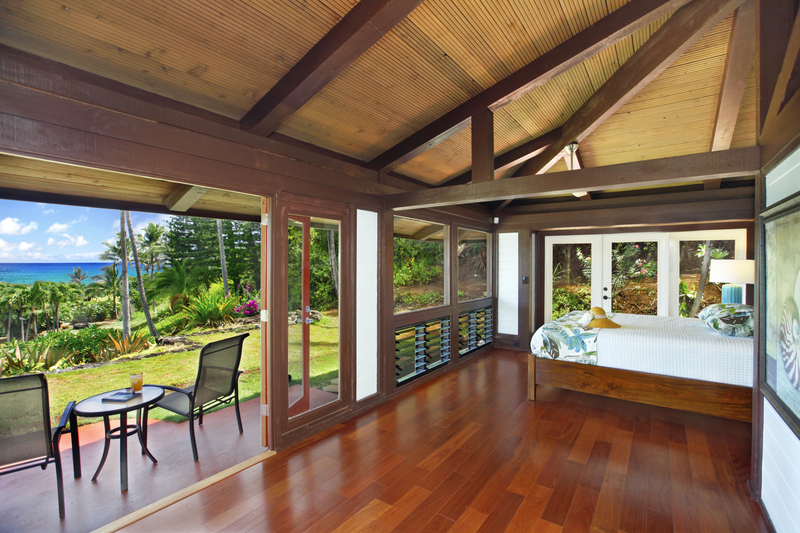 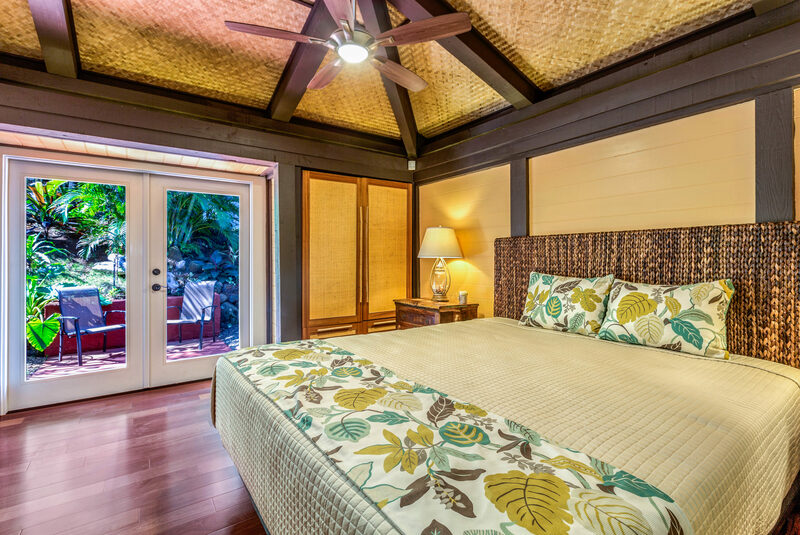 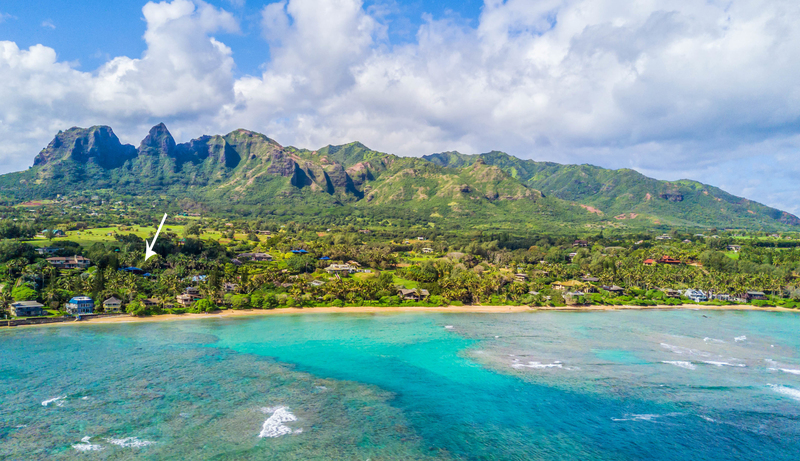 Situated above Aliomanu Beach, at the gateway to the North Shore of Kauai, this private estate rests on a gated 1.7-acre hillside parcel, positioned perfectly to capture the gentle trade winds with breathtaking ocean views from nearly every room. 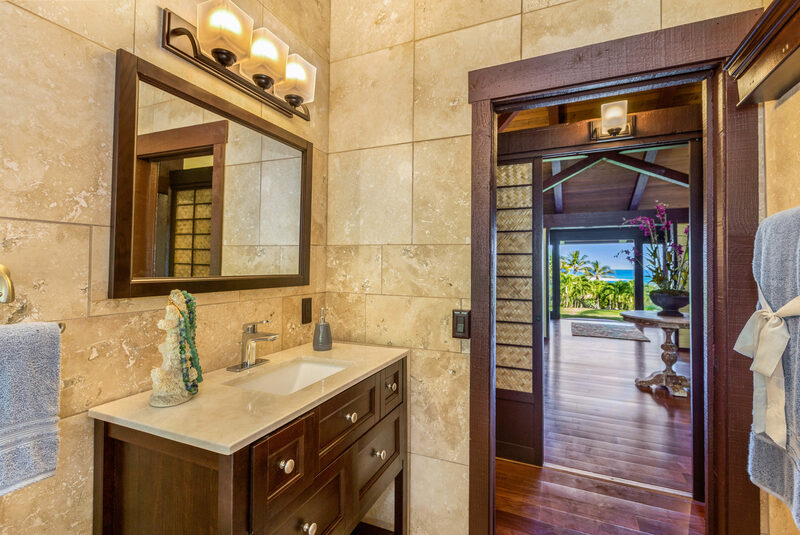 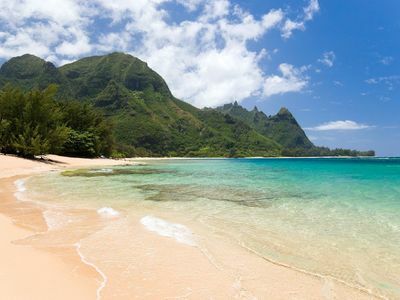 The sandy shores of Aliomanu Beach are just steps from the front entry to the property. 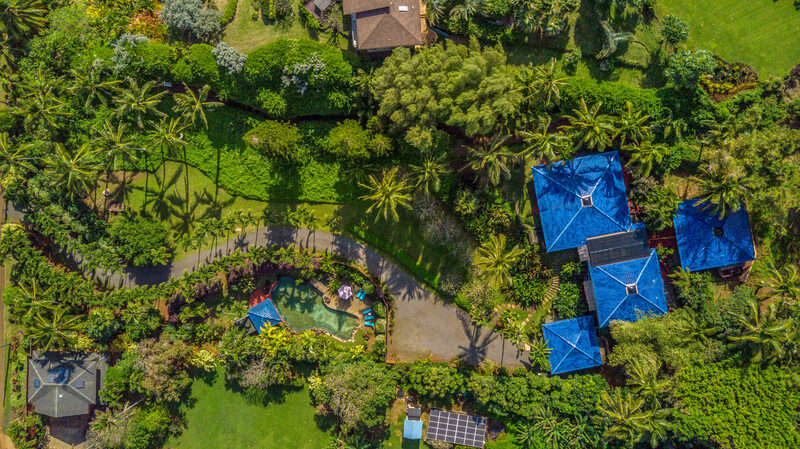 This 5BD/6BA luxurious residence has recently undergone an extensive remodel and renovation to both the structures and the infrastructure, now being offered complete with brand new and/or renovated electrical, plumbing, roofing, flooring, kitchen, appliances, bathrooms, pool, irrigation, landscaping, and more. 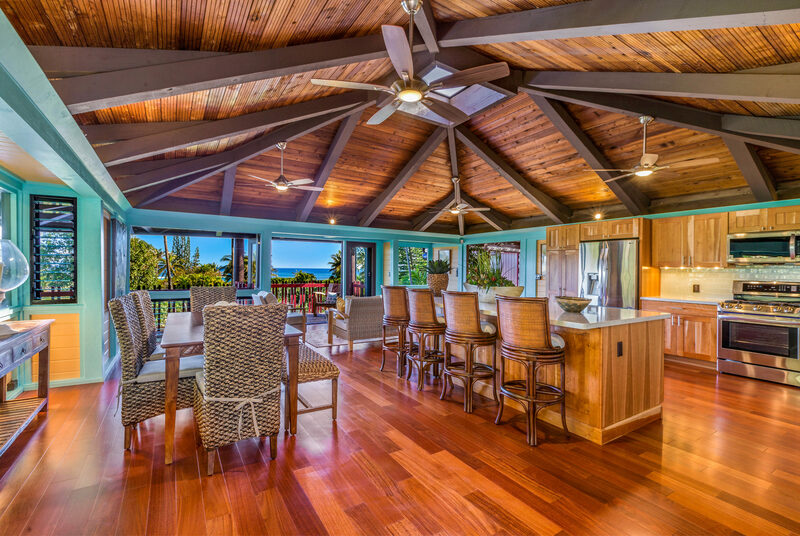 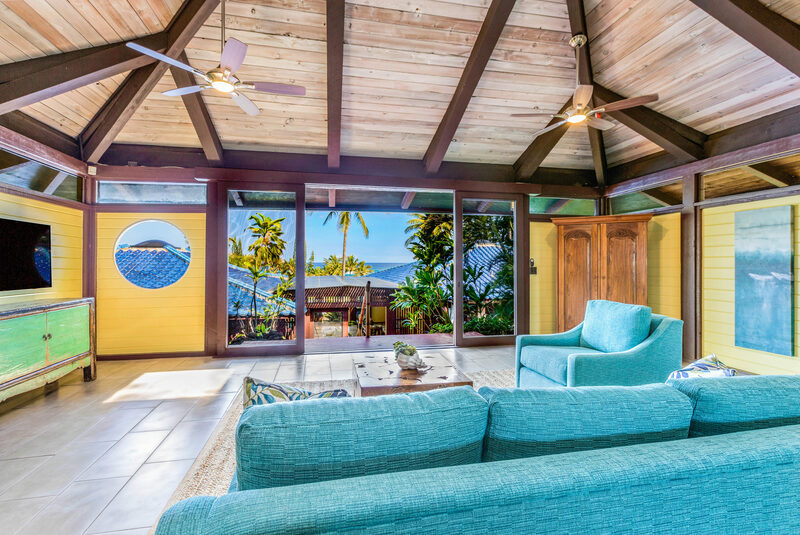 A Luxurious Tropical Paradise for Sophisticated Island Living!